Pfc. 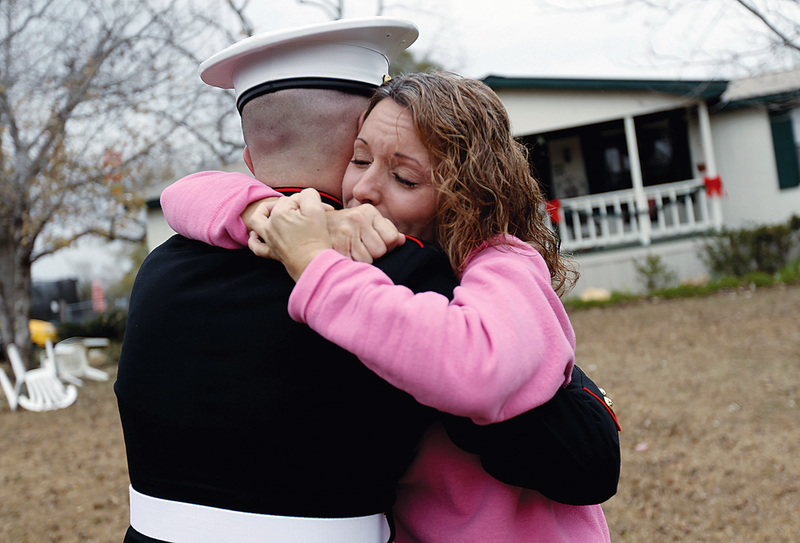 Jason Barfield, a United States Marine, embraces his mother, Kelli Barfield, outside her home in Ashford Wednesday morning, December 16, 2010. Pfc. Barfield surprised his mother, who thought he wouldn't be home for Christmas, with the visit. On October 24, 2011, Barfield died while conducting combat operations in Helmand province, Afghanistan. On March 7, 2013, he was posthumously awarded the Bronze Star for heroism in combat.